I’m not the only one who immediately researched zodiacs when I got this book, right? (Well, I also went to China several years back…so…) Though this has nothing at all in the world to do with the book…I am in the Year of the Dog. You’re welcome for that update. Also I won this book, so thank you to Kelly and Simon and Schuster for this book! The Year of the Rat by Clare Furniss hit shelves in May, 2014. How do I even talk about this book? How about: leave me alone to cry. (That could be it’s alternate title, actually.) You know those books that kind of stab your heart and then watch you shatter…and wait until the last 20-pages to fix you? This little beauty is one of those. I admit, though, the title threw me. There is nothing Chinese about this book. Not even Chinese food. Which is a pity. The title is perfectly clear once you get reading, but it does feel misleading to me. It is also extremely depressing. It’s about grief! Trust me when I say, there are books about crying and then there are books that make you cry and then there’s just crying. I AM CRYING, OKAY? So much pain. I’ve read a lot of books that deal with the topic of grief. Pearl loses her mother, really unexpectedly, and the book is about her journey through grief. No bandaids. No cuddles to stop the pain. There is just pain pain pain, and it’s realistic. It felt so real and so heartbreaking. I’m absolutely drained, because I just experienced it all with Pearl. That’s good writing, okay? Let’s not mince words: this book is excellently written. See? I’m using “excellently” because this book is also British. Very Brisith. (Which I love, because it smells a little bit like home. Except for all the tea drinking.) Are you in pain? Tea. Are you sad? Tea. Are you a stranger who knocked on my front door? Tea. I’m done. Grab a mop for my tears, okay? Despite being about dead people, this book is surprisingly funny. The humour is dry and snarky, bit of gallows humour here and there. Fabulous. There’s also a lot of family relationships in here, which, as you might now, I adore. Smushy romance is well and good, but there are other kinds of relationships and I get so excited when YA explores them! While there’s a bit of a Thing happening between the neighbour’s grandson, Finn, and Pearl, the book never relaly “goes there”. This book is about Pearl and her family: her grandma, her step-dead, her dead mother, and the little baby who her mother died having. Family isn’t loving and happiness. It’s support when you’re drowning. I love that. You have to read this. I want you to feel the pain that I am feeling, basically. It’s sad and funny (which is incredibly hard to pull off). But, spoiler: there is no Chinese food. I’m still confused as to why there’s no Chinese food. come on! you know you want to! even though it’s completely off-topic about this book…what’s your Chinese zodiac? ALSO: how do you feel about reading books about grief? too sad, therefore avoid? or do you like to cry your heart out? Despite using Sherlock gifs with skill, Cait has only ever watched on episode. (She is probably missing out.) Nothing like the smell of mystery and British tea in the morning. Cait is currently asking herself how her TBR got so huge again. She swears, it’s multiplying while she’s not looking. She’s reading BREAKING BUTTERFLIES. Brilliant review. Those Sherlock gifs are absolutely fabulous. *whispers* I've only seen one episode, but who's telling, right? Omg, you thought this was about Chinese people as well?! High five! I thought it was only me haha. I was actually put off by it because I'm exposed to so much Chineseness that it's gets kinda boring. And then I read it and was like OHHHH. I'm so glad you loved this one as well! Lovely review! WOAH what's the first sherlock gif from? I don't recognize it and he looks so saaaad! Oh never mind I figured it out, it's his last vow, in the padded cell. *pats Zoe on the back* There, there, you and me both for the confusion. It's really quite mindblowing when you think about it. England. 'ave a cuppa, luv, you'll be fine. Definitely cry-your-heart-out, but in a depressing and dying way. Not SO much like BtT, but hey, I broke my heart over that book, so similar. x)YOU ARE FIRE. YOU ARE DEATH. I'm staying well away from this one. Love Letters to the Dead made me cry because it was too personal for me, so yeah, bye bye The Year of the Rat, you sound great and everything but nope. It's always the writing that get's to me, don't think I'd cope. 🙁 Well, doesn't tea fix everything? I'm not British since I'm Welsh (so I guess it doesn't really count), but I must be the only person in Britain who doesn't like it. I'm a coffee person. Coffeeeeeeeeee. I don't usually stay away from all grief ones, it really does depend on the writing, though I don't read a lot of them either, so I guess I do avoid some. My Chinese Zodiac is a Monkey. Great. I'm a Goat and now I'm a Monkey, yaaaaaaay. COFFEEEEE. You are the best. I don't drink tea at all….it tastes burnt in my humble opinion (wherein the true Brits throw things at me) but hey. Each to their own. It feels weird to say "I like grief books", but I like ANY book provided it's done well. x) Hello, monkey. I'm a snake. People are always trying to tell me that I'm a horse, but my birthday was before the Chinese New Year that year so I'm a snake. I've dealt with that, hah! I've also been to China, it was wonderful! And I was there in the year of the snake. Yay me! Haha. As for TEA: YES. I'm not British, but we've got a lot of English aspects to our culture, and tea is a big part of it. This book sounds great. Like, horrible-sad-great. I will give it a go. I have to admit, I'm glad I turned out something normal (though slobbering) like a dog. I tease Mime because she's a tiger, but I'm pretty extra sure someone in our family is a goat. That's just funny. *snickers*I will leave you to your tea and I'll take all the coffee. And hot chocolate. OR MIX THEM TOGETHER FOR MOCHA. Yessss. I'm born in the year of the ox, btw :)I never thought this book would be a tearjerker. I thought it was about animals tho. XD Guess I was wrong. That's two oxes already! (Although apparently "oxes" is not the correct plural of "ox", but whatever. I finished school.) It's definitely not about animals. x) The title is a tinsey bit misleading, eh? Ok so here's the thing. I'm supposed to be the Year of the Dog because I was born in 1994. However, my birthday month is in January, and Chinese New Year usually isn't until the end of the month or sometime in February. So that would mean I'm the year of the rooster. BUT I DON'T WANT TO BE A CHICKEN. Well, as long as I get my chinese new year money from mom, it doesn't really matter. I used to celebrate Chinese New Year, but now that I'm away at college, we don't do anything anymore. Except I get money. YAYWow, so this had nothing to do with Chinese zodiacs at all? Hmmmm. And also tears and grief? I mean, I do like sad books, but I don't know if I would voluntarily go and pick one up. HEY BUT I AM IN 1994 IN JANUARY TOO. o.O Omg, I didn't want to know that. I AM NOT A CHICKEN EITHER. Leave me alone to be a dog. (But that's also cool, because you and I are like exactly the same age then. x) Ha! Things I find out from my randomest reviews.)Yes. Zlich on the Chinese aspect. Which is hilarious, in my humble opinion, because all we're talking about in the comment section is animals and tea. I think I'm the year of the pig… I think. Haven't checked it recently! But that's really, really weird that there's nothing Chinese. I was totally imagining an Asian American protagonist, with a bunch of mixed culture stuff. I guess the title makes sense now that I read the synopsis, but it's still pretty misleading. Love the Sherlock gifs, by the way 😀 You really need to watch the rest of the episodes, Cait! No no NO! DON'T DRINK ANY TEA THAT SHERLOCKS OFFERS TO YOU, IT PROBABLY HAS EYEBALLS IN IT!!Anyway. What was I saying? Oh, yes. I hadn't heard of this book until now but I may have to add it to my to-read list… I love gallows humor. Hey, I was born the year of the rat 🙂 Apparently I'm smart, wealthy and work for success. I would say I'm pretty smart and I work for success, and hopefully that will result in me being wealthy, because at the moment I am the opposite of wealthy. Great Review, Cait. I have heard so many good things about this book. SO MANY. I want it now, even more so after you review. I love funny/sad, just sad would be way too draining. Thanks for sharing. I JUST WATCHED TFIOS AND I CANT DEAL WITH MORE PAIN. Although I need to read this for review. >_> thanks for warning me Cait! Thanks for the fantastic review, Cait! I can't wait to finally pick this book up! I'm so glad you loved it and thank the lord for Sherlock GIF's – I think my life revolves around Sherlock sometimes. 🙂 Also, I actually didn't research Chinese zodiacs when I first heard of this book, because I actually have a book about them, but I AM THE YEAR OF THE RAT. So I think that's another sign (the other being that your review is wonderful and you used Sherlock GIF's being the others), that I need to read this book? I think it is. I at least thought it'd be an Asian protagonist. *shrugs* I totally agree that it's misleading, buuut lucky it's good enough for me not to mind. Omg, I NEED TO WATCH MORE. I will. I totally will. *whispers* Do you like mud?I'm planning to watch the rest of Sherlock…one day. I tend to read more than watch, but HEY. Sometimes my eyeballs need a break from words and relocation to TV. YOU HAVE A BLOG. *dances wildly* I have gone. I have commented. I have followed. YEEEEHAAAA YOU HAVE A BLOG. I'm in the Year of the Dog, as well. How about that?!? 🙂 I don't know if I can do this one. Not anytime soon, anyway. Not after the pain of TFiOS in the theater and after the book. That was some seriously ugly crying. But it felt like a release, so I'm not opposed to doing it again. Just not anytime soon. But I love the gallows humor, so that might entice me to read this sooner rather than later. And the family relationships. Great review! *hi fives* We can dog together. (My oldest sister is also a dog, which is hilarious, because we're polar opposite personality wise. Ah, Chinese zodiacs. How did you fail us??) xD Ah but we bookworms are seriously sadistic sometimes. If it involves tears: we need to try it. x) I loved how the focus wasn't on romance but rather family this time. I think it was well balanced! I was born in the Year of the Dragon. 🙂 How cool is that? !OMG YOU HAVE TO WATCH THE REST. Seriously. I only started watching "Sherlock," like, three days ago and I am totally hooked. YOU ARE FIRE AND DEATH AND SMAUG. *adds Sherlock to endless to-do list* I promise. I will. There's not many episodes, is there, anyway? It's so good that this hit such a strong note with you and you felt so much with it, Cait! 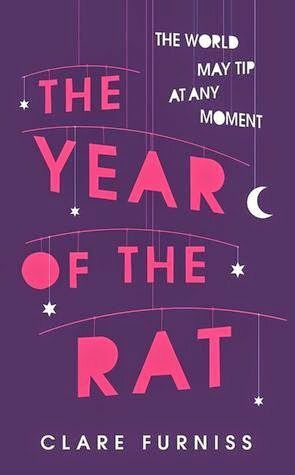 I haven't read any highly rated reviews for this, before yours, so it's interesting to get a different perspective, but still there's just something about it (the book) that makes me think I won't like it, which is strange, but I don't think it's for me.I'm, get this, YEAR OF THE RAT! How amusing. Now, if you want something that goes into the zodiac, watch Fruits Basket, which is an anime. I just finished it and it's just so wonderful and amusing and really enjoyable. Also, it has pretty spectacular food- rice balls! I don't like tea. I KNOW RIGHT? I WOULD NOT EVEN FIT IN AT THE MAD HATTER'S TEAPARTY AND WHAT IS THIS. After s9 of SPN, I'm still not emotionally prepared to deal with more grief, so this book is at the very bottom of my ToRead list. *Grin*BUT I NOTICE LOTS OF SHERLOCK GIFS. HAVE YOU WATCHED IT. ARE YOU WATCHING IT YOU SHOULD WATCH ITIT WOULD TAKE YOU LIKE THREE DAYS TO WATCH ITSERIOIUSLYTHERE ARE ONLY NINE EPISODES. That doesn't even make it to the mid-season finale of one season of SPN. lol. THAT I can understand. I'm soooo dreading S9 now. *weeps copiously* I HAVE NOT WATCHED SHERLOCK. WELL JUST ONE. I WANT TO WATCH THE REST. BUT THAT WOULD MEAN TAKING A BREAK OF SPN. AND I CANNOT DO THAT RIGHT NOW. *grins* I'm thinking the luckies (like you) Who get to watch s9 in one fell sweep (which I couldn't do. They took like thee hiatuses!) will be less emotionally compromised by s9…. But I just CANNOT EVEN. LOL WELL YOU'RE ALMOST DONE WITH SPN. WATCH IT WHEN YOU'RE DONE. YOU WON'T EVEN HAVE TO DEAL WITH THE REICHENBACH FALL HIATUS. YOU ARE GOING TO DIE BY THE TIME YOU'RE DONE WITH SPN. I KNOW I'M GOING TO DIE. BUT STAHP. YOU'RE NOT HELPING MY TREMBLING FEELS. I’m year of the Roooosteeeeeer! Always loved the zodiac- so this IS disappointing. But I love snarky humor, and if you thought it was good (except the only way I’m assuming you thought it was good was the four star rating, if I hadn’t looked at that I’d just assumed you spent the entire book in perpetual tears and it’s a fragment of your life you don’t ever want to look back on) I’m sure I’ll love it, too! Added to my TBR.